Amnesty International USA (AIUSA) is seeking a Full-Time Social Media Manager to join our Public Affairs team. This position is based at either our New York or Washington, D.C. offices. The Social Media Manager is responsible for using social media platforms to advance AIUSA’s programmatic and organizational goals, as part of larger online engagement strategies. The Social Media Manager will grow our base of supporters primarily across Facebook, Twitter, and Instagram while also deepening levels of engagement to increase AIUSA’s human rights impact. The Manager is responsible for developing data driven, innovative, and engaging social media strategies that grow AIUSA’s base of supporters as well as advance our organizational priorities. The Social Media Manager reports to the Deputy Executive Director, Public Affairs will work collaboratively with other staff across the organization and within the Digital team. Grows, engages and leverages AIUSA’s audiences across Twitter, Facebook, Instagram, and Tumblr as well as any potential new platforms. Develops data-driven long term strategies while also leading day to day community management. Integrates social media strategies into AIUSA’s priority campaign plans. Devises and executes strategies for amplifying and driving AIUSA’s messaging and engagement through others’ social media platforms, including influencers, celebrities, allied organizations and policymakers, volunteers, local Amnesty groups, and others. Manages growth strategies to expand AIUSA’s social media size and reach. Regularly tracks and analyzes data, develops reports, and shares learnings and insights across the organization. Stays up to date on the latest social media trends and tools and when applicable, applies them to AIUSA’s social media program. Develops social media trainings and toolkits designed to advance digital learnings for staff and volunteers. Developing and executing creative, effective social media campaigns that have results in growth and impactful engagement. Day to day community management for a significantly sized social media audiences. Developing and maintaining an organization’s editorial “voice” across multiple social media channels. Working with multiple stakeholders, other groups and individuals to drive messages and campaigns across their social media platforms. Experience analyzing social media data and other metrics, identifying insights, applying them to ongoing work, developing tests and analyzing them, and sharing data and insights with colleagues who do not have technical expertise. Experience using social media to tell complex stories in clear, simple, relatable terms, and then using that storytelling to engage people in advocacy. Experience with content creation is a major plus! Demonstrated ability balancing competing priorities and needs, with a diplomatic approach. Demonstrated ability to successfully and regularly brainstorms as part of a larger team, shares ideas, and shares responsibility for implementation. Demonstrated ability to both engage and expand social media audiences. Demonstrated ability to develop innovative social media campaigns that are part of larger digital, communications, and programmatic goals and campaigns. Skills in quickly generating creative ideas for growth and engagement. Demonstrated ability to try new tactics to generate social media engagement or to build on existing tactics and technology. Ability to write for digital audiences. Creative content skills including graphic design and video editing are a major plus. Solid knowledge of best practices in social media and advocacy, including new and emerging technology and best practices. Ability to turn concepts and ideas into reality quickly and with limited resources. Diplomatic, collegial approach to engage with other staff, volunteer leaders, and members as partners and to identify solutions that meet multiple stakeholders’ needs. 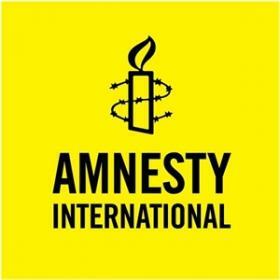 Amnesty International USA is the US National section of Amnesty International.